QUETTA (92 News) – Commander Southern Command, Lieutenant General Nasir Janjua has said that no one will be allowed to derail peace in Baluchistan. 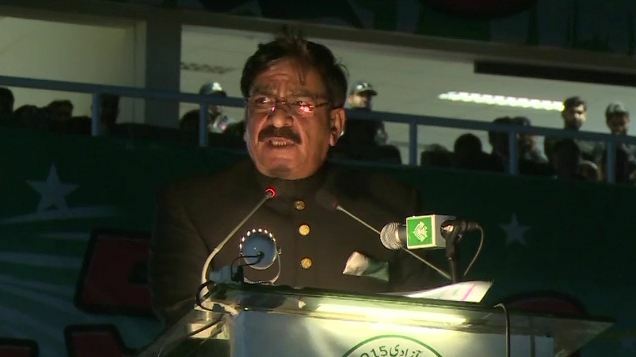 Addressing a ceremony to mark the 69th Independence Day of the country at the Nawab Akbar Bugti Stadium on Friday, Nasir Janjua congratulated the people on the Independence Day, adding that the people of Pakistan wanted peace in the country. He said that the armed forces achieved successes in the ongoing Operation Zarb-e-Azb under the leadership of Chief of Army Staff (COAS) General Raheel Sharif. 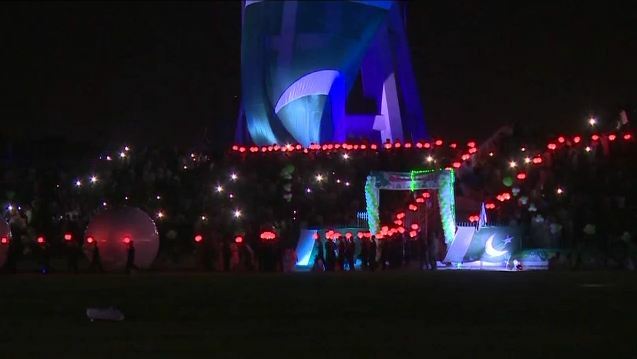 The military parade was held to mark the Independence, while a large number of people watched the traditional dance.